This year's Golden Globes were entertaining and full of great fashion. There were a few bad dresses, but most everyone brought their A-game. It doesn't really matter what you wear when you're this pretty. Even though it's not my favorite, she still rocks it. I like this a lot. She looks great. This looks like a dress she already wore in green. I don't like this. It's so severe. I often love what she wears. This isn't working though. I don't think black is her color. I also don't like the helmet hair. It's not bad. I'm just over this style dress. And why not go for something more fun when you're 22? I still hate her hair, but she looks fierce. It looks like someone hot glued gold lamé onto a plain black dress. Her dress looks like a craft project too. I don't personally care for head-to-toe lace, but this is gorgeous. She had great earrings too. She was so close to making my best dressed list. Sofia looks awesome - I love the necklace and while the dress is safe, it's a bit different than what I'm used to seeing her in. Amy Poehler - nailing it! 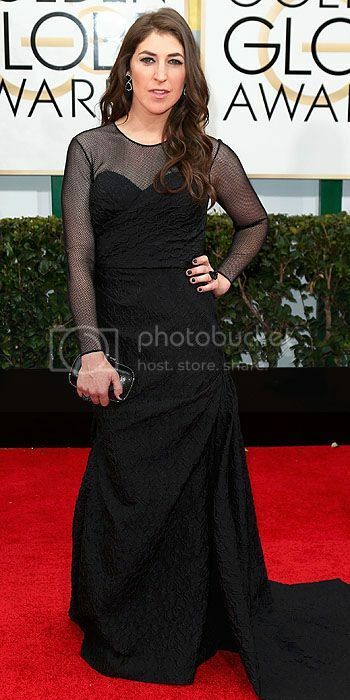 Mayim looks odd - I like the dress but it's just strange to see her in non-geek or non-blossom attire. I feel like Uma raided someone's closet in the 80's and this is what she came out with, and not in a good 80's chic way. Jessica - yes, what is with the helmet hair? Kelly Osborne went for that "wet look'" and I hate it. Emma - her dress looks like what Sofia would wear, and it would be more appropriate on Sofia. Kelly looks amazing - the make-up the dress but that hair. I mean I didn't know you could just get out of the shower get dressed and go for a red carpet event??? Melissa - I don't get it... but I love her clutch. Cate - lovely, absolutely lovely! 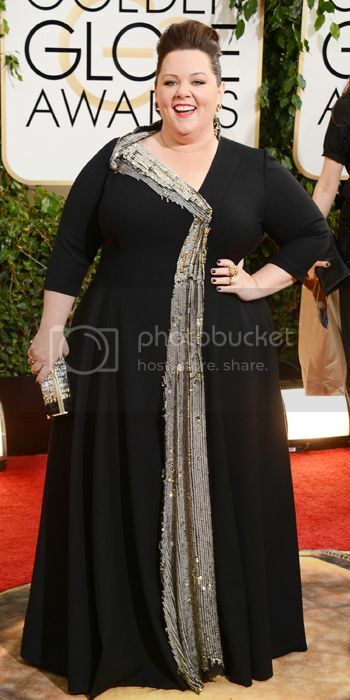 AMY LOOKS AMAZEBALLS. Emma looks great too, but I would have loved this with more color, or a print...something to liven it up because you're right she's only 22. Cate looks gorgeous. Like royalty. I also actually really like Jessica Chastain's dress but I agree- I don't love it on her for some reason! I think it could have worked really well on someone else possibly! I think Cate looks amazing. What is the deal with Jessica's hair? It looks like she forgot to finish brushing it. I really like Sophia's lighter hair color. I loved Amy, Kelly and especially Cate! I don't think I've ever liked the way Jessica Chastain has styled her hair. It always looks weird.